Since its beginnings as a small string orchestra in 1976, EYSO has grown to a community of eight large ensembles and nearly thirty chamber music ensembles. Directed by nationally-recognized leaders in music education, EYSO ensembles have performed at the Aberdeen International Youth Festival, the Ravinia Festival, the Illinois State Capitol, and on 98.7WFMT, Chicago’s classical music radio. EYSO’s ensembles perform masterworks of the classical repertoire, challenging and inspiring their members to ever-higher levels of creativity, musicianship, and collaboration. 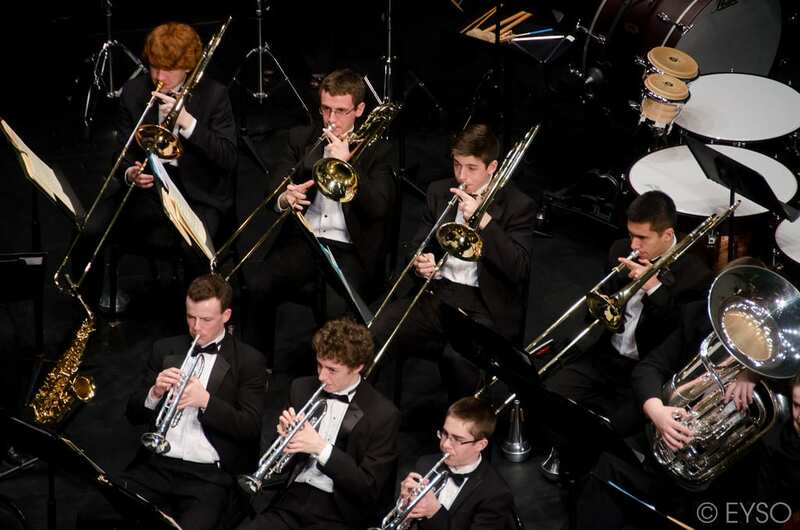 The Brass Choir meets the needs and capabilities of brass players, introducing them to unique repertoire and creating a solid foundation of brass technique. Percussion Ensembles offer individual attention to percussionists of all skill levels, and the Chamber Music Institute gives young musicians the chance to lead, learn, and collaborate in a small-ensemble environment. EYSO prides itself on offering each student the challenges, education, and community needed to thrive as a thoughtful musician and global citizen.